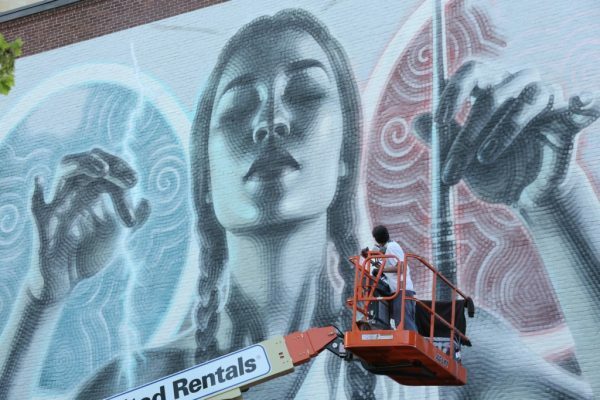 El Mac painted a new mural on the walls of a school – the Northeast University of Boston. 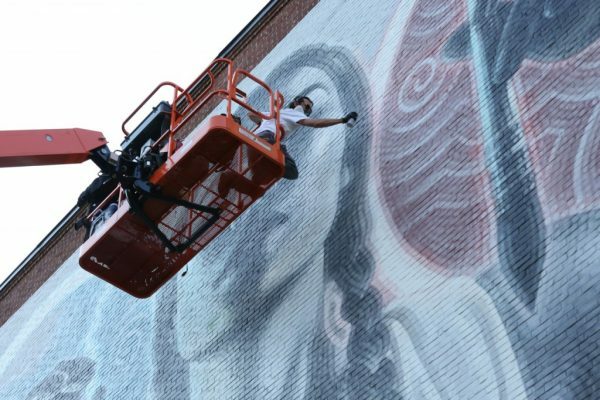 It is located across the street from The Museum of Fine Arts, where El Mac was one of the selected artists at the 2014s MFA Summer Auction. The mural shows a female character, holding a paintbrush in the left and a bolt of electricity in the right hand. It can be assumed that she resembles an allegorical, ethereal greek muse wearing a toga. 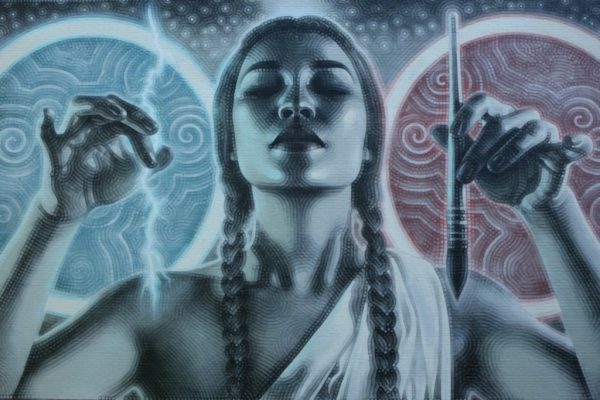 In this work you can find El Mac’s past, present and future. The goddess is modeled after his wife and in her hands is the source material that created him. The electricity in one hand represents both science and his father the engineer, while in her other hand she holds the paintbrush which is both art and his mother the painter. The stars above her allude to the possibilities and promise of the future, as well as the space program which spurred El Mac’s father to pursue a career in engineering which was the catalyst for the families journey to the Southwest. Veröffentlicht in contemporary art, Graffiti, Murals, street art, urban artBookmark the permalink.